Amy and Elder have finally left the oppressive walls of the spaceship Godspeed behind. They're ready to start life afresh -to build a home- on Centauri-Earth, the planet that Amy has traveled 25 trillion miles across the universe to experience. But this new Earth isn't the paradise that Amy had been hoping for. Amy and Elder must race to uncover who--or what--else is out there if they are to have any hope of saving their struggling colony and building a future together. Wow. Just wow. I had no idea what I was getting into when I eagerly picked up the third installment in this series. I mean, I knew this story was complex, but I never expected to discover a story with so many twists and turns. 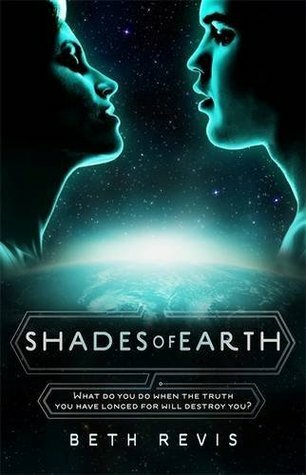 Everything is kicked up a notch in Shades of Earth- the romance, the death, the action, the mysteries. It all comes to one brilliant, epic conclusion. Although Shades of Earth can obviously be labeled as science fiction, there are many elements that strongly remind me of fantastical literature. Revis' descriptions of the new planet are magical. I could practically feel the cool breezes and touch the vibrantly colored plants. I was utterly captivated. The vastness of this new setting makes the story all the more eerie and slightly creepy. After all, there is nothing more terrifying than the unknown, and the characters are surrounded by more mysteries than I can count. So much of the story revolves around human interactions and the politics of the colony. While Godspeed was mostly run by young people in the second book, multiple figures fight for the right to lead the people on the new planet. The story delves into what makes a leader- Must it be someone who is trustworthy and honest Or is it someone who does what is the best for the group, no matter the price? What are your limits? There are some elements that all of my favorite series share. From Harry Potter to The Hunger Games, there are similarities found across the board. They all revolve around the timeless battle between good and evil, and more importantly, they hold characters who are willing to fight this battle with their hearts and souls. The same determination and fire I look for in all of my favorite characters surfaced in Amy and Elder. While the first two books didn't quite achieve the greatness most of my favorites hold, this last book finally found it. Yes, the first two books are enjoyable, but the third one is downright epic. Revis just doesn't hold back. She isn't afraid to reveal that horrific secret or to kill off that innocent character. I could do nothing but flip pages and cross my fingers that everything would eventually work out. If you haven't looked into the Across the Universe series, do so now, if only so you can read Shades of Earth. 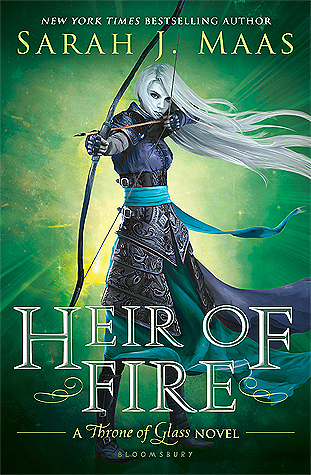 If you started the series but haven't had a chance to pick this one up, I expect you to do so this very minute. The sheer immensity of this story will boggle your mind and keep you on the edge of your seat. "What is in our hearts is real whether we name it or let it exist only in darkness or silence."